"It is an amazing hotel." 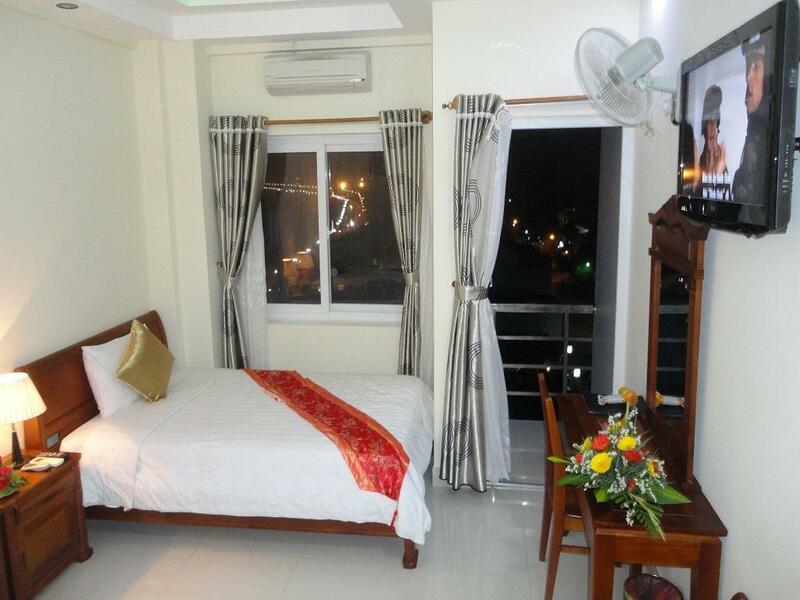 Have a question for Hoang Yen Canary Hotel? "It's airy spacous room for us." "Nothing to complain about, and staff were very friendly and accommodating." "It is a nice and clean hotel close to the beach." "The hotel closed to beach and a lot of seafood restaurant." 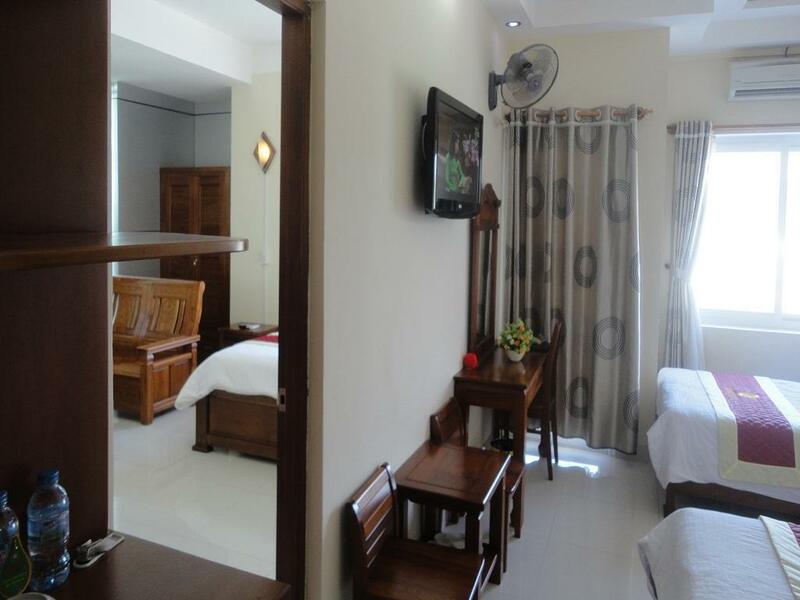 Situated in City Beach, Sunflowers Hotel is the perfect place to experience Quy Nhon (Binh Dinh) and its surroundings. Situated only from the city center, guests are well located to enjoy the town's attractions and activities. With its convenient location, the hotel offers easy access to the city's must-see destinations. 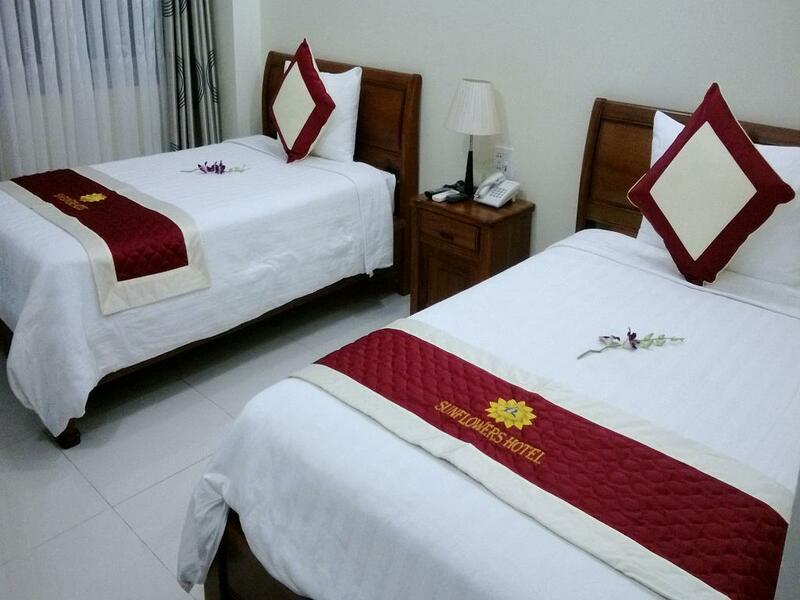 The facilities and services provided by Sunflowers Hotel ensure a pleasant stay for guests. A selection of top-class facilities such as free Wi-Fi in all rooms, 24-hour front desk, express check-in/check-out, luggage storage, Wi-Fi in public areas can be enjoyed at the hotel. 50 rooms spread over floors provide a warm and pleasant home away from home. 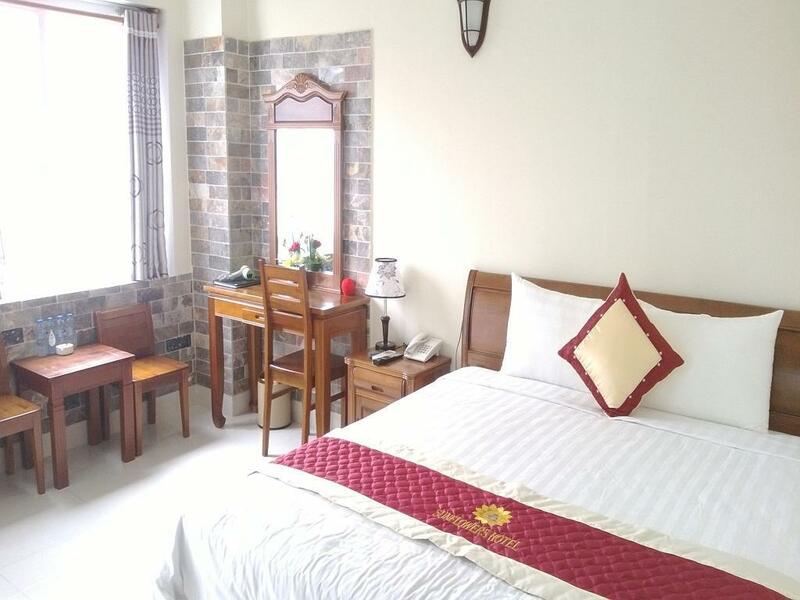 Modern comforts such as television LCD/plasma screen, internet access – wireless (complimentary), non smoking rooms, air conditioning, desk can be found in selected rooms. The hotel offers fantastic facilities, including hot tub, sauna, spa, massage, to help you unwind after an action-packed day in the city. Enjoy unparalleled services and a truly prestigious address at the Sunflowers Hotel. We stayed for 2 nights, the hotel was ok, good price for the room. The room was clean, a bit smelly in the bathroom. It's a bit noisy if you are staying at the 8th floor because the 9th floor is karaoke bar. The location is good, a lot of delicious seafood restaurants nearby. Nice view of the ocean from the window. Quite but tiny room. Beach nearby isn't for swimming. Toilet is so awful because its ventilation system whenever people in other rooms use theirs, you will be affected. Look for another so much better hotel at the same/lower rate. Be ware of taxi driver. You had better order Uber or Grab trip. Recommended to Cay Dua or Phung Nga restaurant nearby for dining. 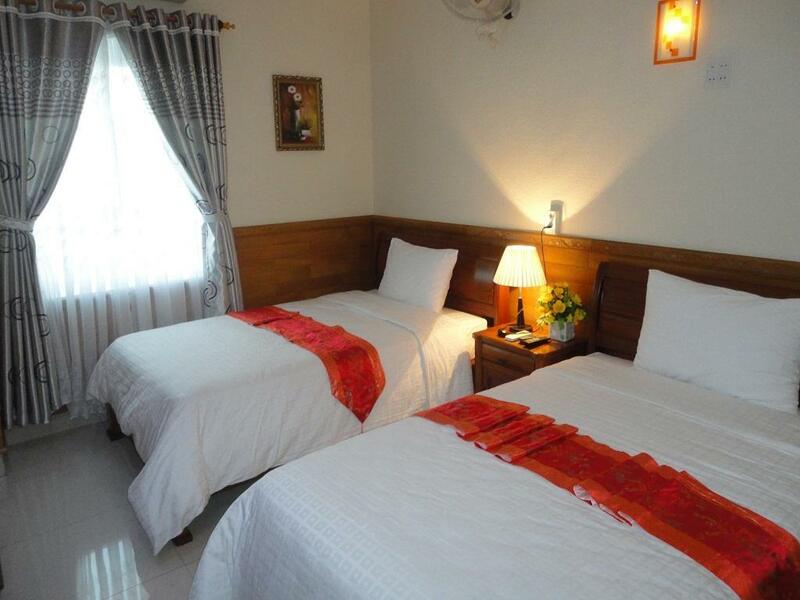 It is a nice and clean hotel close to the beach. The rooms are cleaned everyday. And the breakfast is buffet when it is busy, but not always (than you can order with limited choice). We always feel like coming home here and the personel is very friendly and like family to us. This used to be the Sunflower hotel but is now under new ownership and is being renovated I think. Superficially, everything was fine, but you just got the impression that they would not do any more than the minimum. Therefore, not really well-suited for Western travellers or tourists, not yet. As with other reviewers, room clean and reasonably well appointed. Many minor irritations, nothing to get upset about, but you just sensed the staff would not go out of their way to be helpful. A little, but not too far, away from the town/city centre, not far from the beach too, so a reasonable location. If this town/city is going to try and attract more foreigners, I feel that they need to put in a little more effort, oh, and smile a bit more too! Very friendly English speaking staff with underground secure parking if you arrive by motor bike. Inclusive breakfast and very good omelettes made by a chef who speaks fluent English having lived in British Columbia in Canada for many years. Higher ocean facing rooms have amazing views over the sea and around the bay. Great value. From the moment we arrived it was one failure after another, and the staff have no interest at all. There was the usual mix-up with the booking, the A/C only had one setting, LOUD, and didn't cool, there was an all night party on the top floor with loud music and singing, the cleaning staff shout up and down the corridors from 6 am every morning, and when we tried to leave they had lost my passport! Stay here at your own risk. 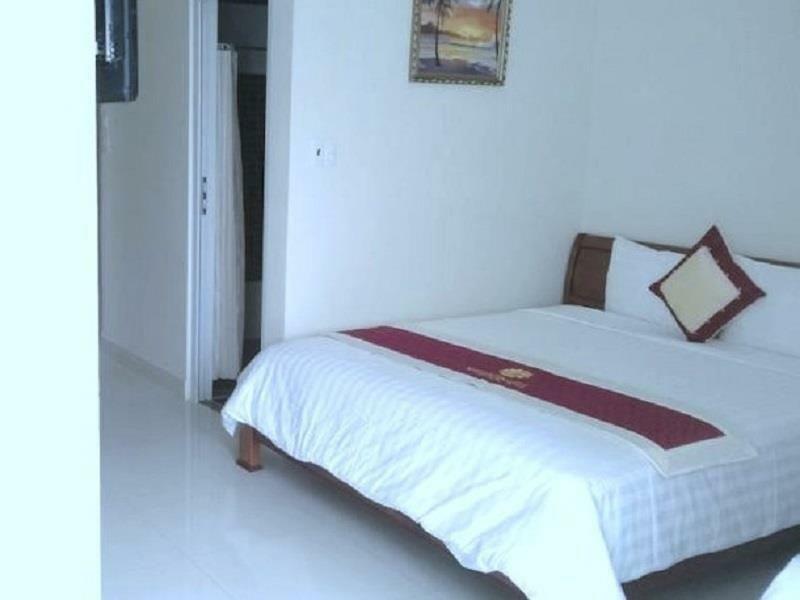 The beachside location, large clean room, and great value. I stayed at Sunflowers for a couple of nights and found it a great base to explore Quy Nhon. 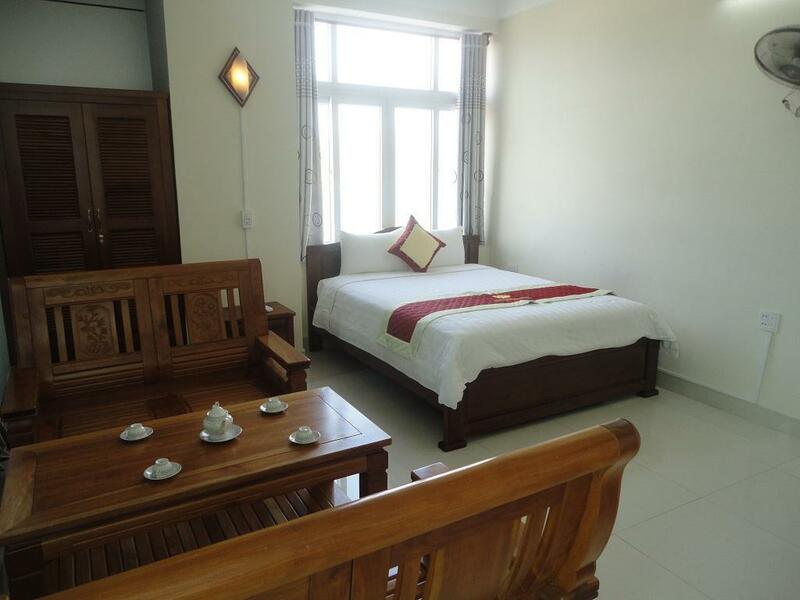 The rooms are large and clean and a bargain for the price I paid through Agoda. The location at the far end of the long beach is probably the only downer to the hotel, but the town is not that large, so only a short taxi ride away from the CBD. In any case there are plenty of dining choices nearby or just a short stroll away from the hotel along the beach parade. Would not hesitate in coming back to this hotel in the future. Very nice. Very clean hotel with friendly, helpful staff. Only a few though could speak English though all tried to be helpful. . Unfortunately, we didn't feel comfortable swimming as there is open sewage line draining into the beach area. Still, the view is very pretty of fishing boats and the beach is nice for walking. Locals were generally friendly though this is a town not used to seeing many foreigners. Would bypass next time. We stayed in this hotel for 5 days.A beach front hotel in a quiet location with sea views.Restaurants every where, and a lot have good vegetarian options on the menu. The hotel is well kept with everything working.The room was a good size with A/C,a great bathroom which always had a hot shower,the room also had complimentary toiletries and two bottles of complimentary water a day.The room also had a fridge and mini bar.Room service was available at no extra charge and laundry was done at a reasonable price. The staff are friendly and willing,with an English speaker always available. We booked our taxis through the front desk for our day trips and we were very happy with the service provided. We have no hesitation in recommending this hotel and we would be happy to stay there again. The sunflowers hotel is situated right on the beach and the view from my room (810) was gorgeous. 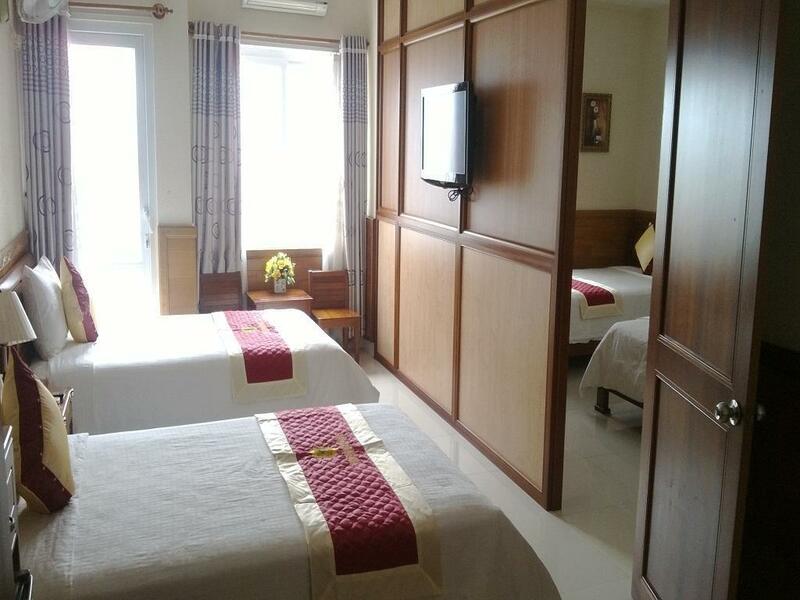 The rooms are modern, bright and spacious. Flat screen TV, mini bar, aircon and the softest brushed cotton linen I have slept in since travelling!!! Another huge plus for me was the awesome shower!!! A huge rosehead with plenty of power. One thing that did worry me was potential noise from the bar on the 9th floor and Karaoke on the 10th.....my room was on the 8th. As it happens I didn't hear a thing, whether it was just a lull or if it's sound proofed I don't know? Staff are really friendly, ultra polite and super accommodating. Breakfast was a bit disappointing, instant noodles or fried eggs.....a fruit option would have been nice. There isn't that much to see and do in Quy Nhom, it's quiet and, as yet very few tourists. That was part of the appeal for me but others may find it boring? We booked this hotel because the motorcycle tour we were on wanted to out us up in such dives. We were really pleased. The room was small but I had mistakenly booked for 1 person instead of 2. The bed & linens were great, the room was clean and nicely furnished, the laundry accommodated us at no extra charge. We arrived at 4 and left the next day at 7. The breakfast was also good. You can walk the beach and the locals are lovely. We are at an outdoor place 1/2 k down the beach and in spite of a language barrier it was really good. Super hospitable town! Loved our stay here and couldn't believe what you get for your money. Lovely rooms, nice and clean with great beds. Big bathrooms which were spotless. Good WiFi throughout. Small balcony and sea views. Nice staff too. Spotless functional room, but it's an exaggeration to call it a suite with balcony. We chose it for the balcony facing the ocean, but you can't sit out there. Barely room to stand, about one square meter. We didn't figure out why it was called a suite, although there were 2 small hard chairs. Comfortable bed and ok breakfast.